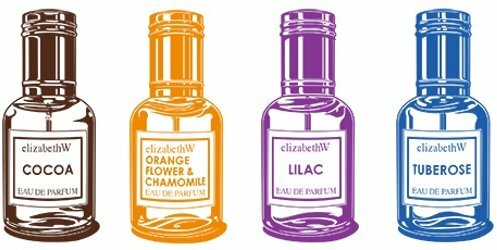 ElizbethW's new Petit Parfum in Té ("An enticing marriage of oriental black teas, juicy fresh Amalfi lemons, and the sweetness of almond honey.") 15 ml for $19, and also available in Magnolia or Vetiver. 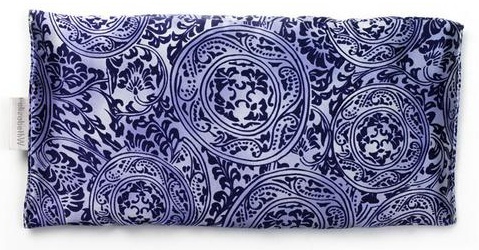 I probably need one of these: a flax seed + lavender eye pillow, "perfectly weighted for gentle relaxation". Shown in "Venetian Blue" silk, but available in other patterns as well (and also sold in matching eye masks and hot/cold packs). $26 at Elizabeth W.
Valentine’s Day is February 14th, of course, and you may be thinking of giving a small gift or two to a special someone. I don’t mean only romantic partners, either; I think that certain friends and family members deserve a little extra display of affection once in while, too. 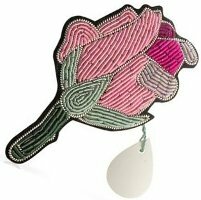 Here, then, are ten scented treats for all sorts of Valentines, each priced under $30.